This model comes complete with a tough stainless steel back, impact resistant acrylic high definition face and pressed fit adjustable bracketing system. 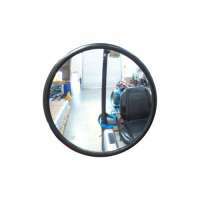 It can be mounted to the cab upright support using the supplied angle plate. The Standard forklift rear view mirror is easy to adjust and has a clear distortion free reflection. 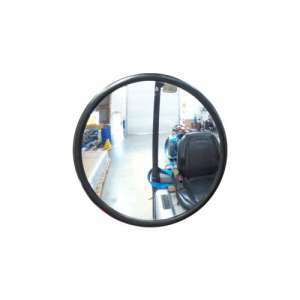 The 6" Standard Forklift Rear View Mirror comes complete with a tough stainless steel back, high def..
2mm Acrylic Face Pure Reflective Coating Stainless Steel Back Adjustable Ball Joint Mountin..